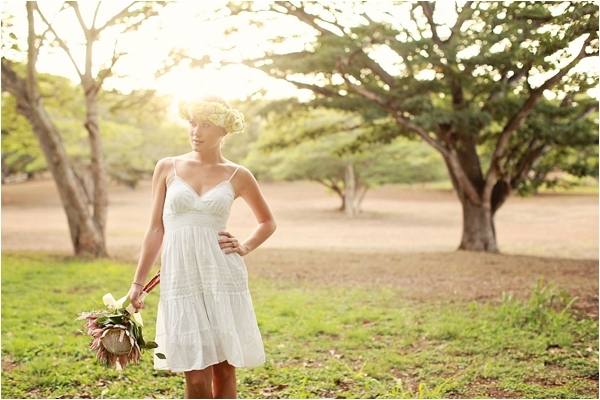 A couple things I love: Hawaii and beautiful shoots. 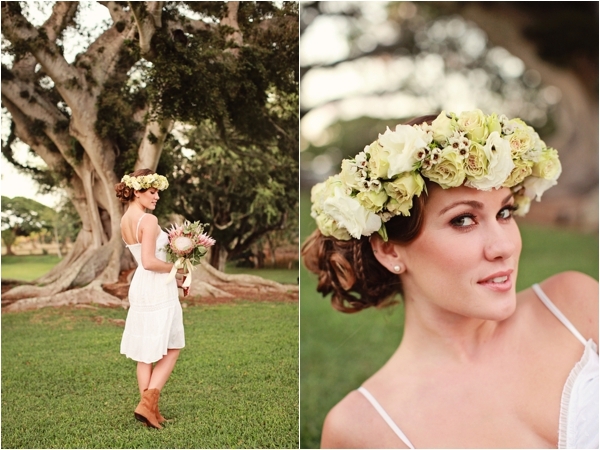 This pretty styled bridal shoot was photographed by Jenna of Creatrix Photography. 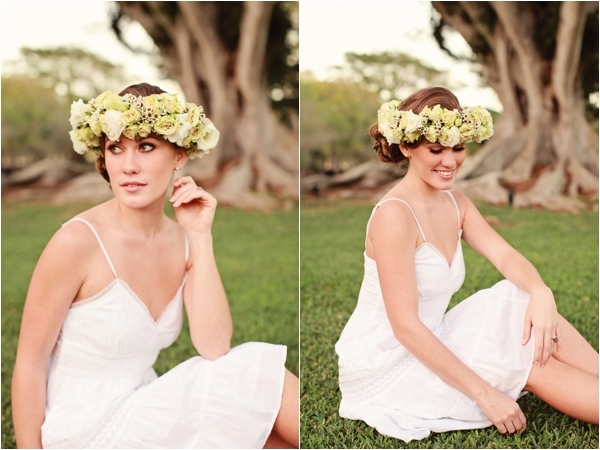 What I love most about this shoot is that while being simple, without all the extra decor and what have you, it's still very pretty. 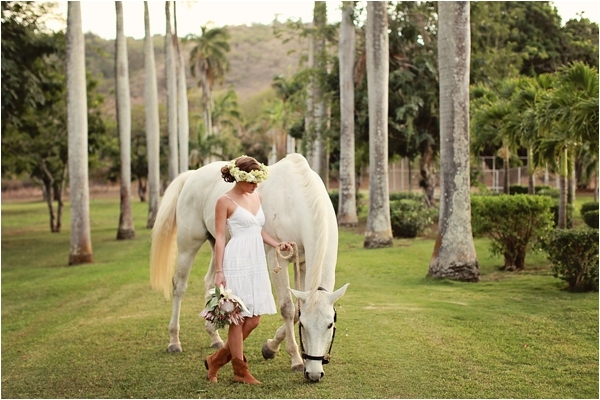 It makes me want to go out to Hawaii and have a vow renewal or something on that ranch! 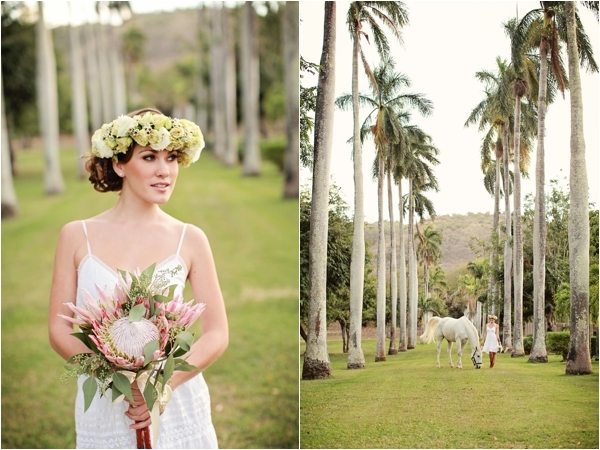 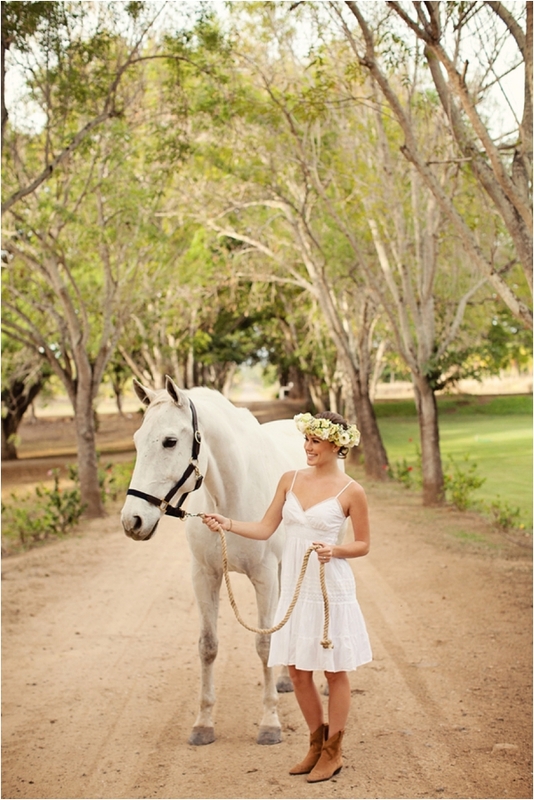 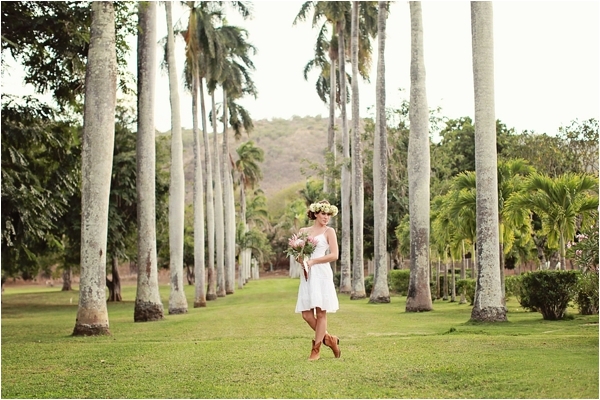 Inspiration behind the shoot: Dillingham Ranch is one of the most beautiful locations on Oahu, which was owned by the original Dillingham Family. 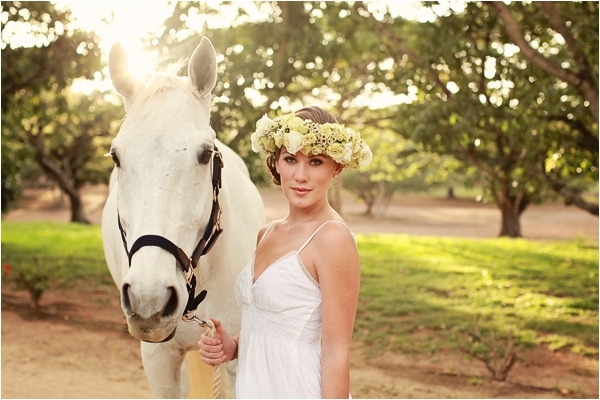 There is an active cattle herd, tons of horses and just beautiful scenery. 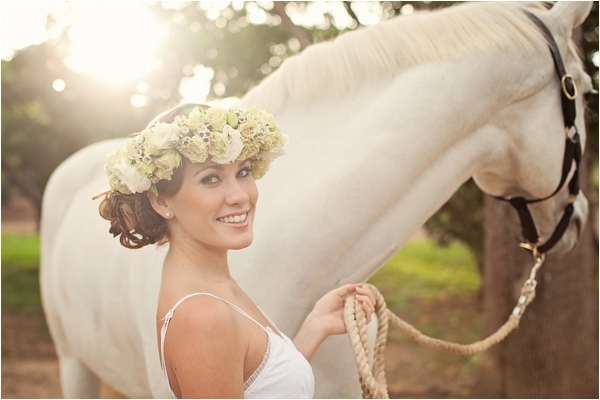 I ride at this ranch every week and wanted to capture the location as I always saw it, beautiful light and wonderful colors. 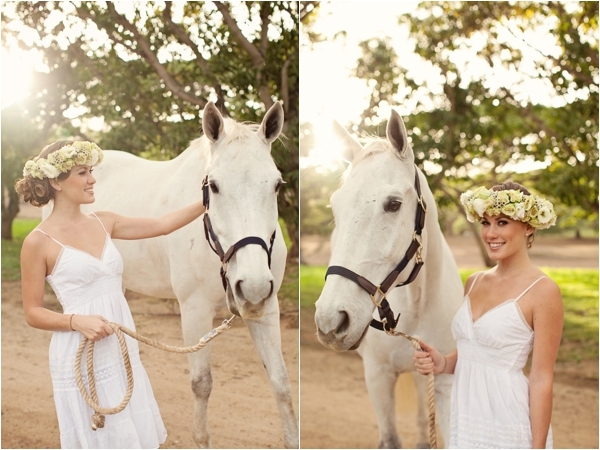 I love working with horses, so I "borrowed" Cabo from a friend. 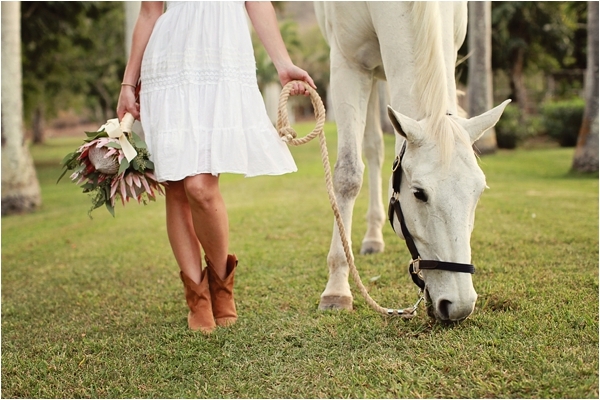 He was quite the handful! 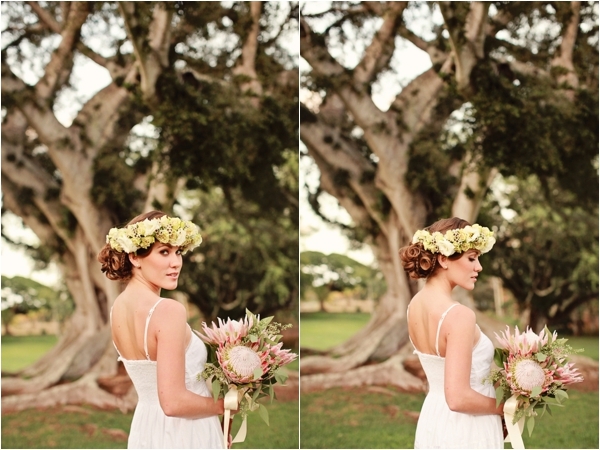 I also wanted to do a mix of relaxed southern feel with a Hawaii twist, hence the particular flowers used. 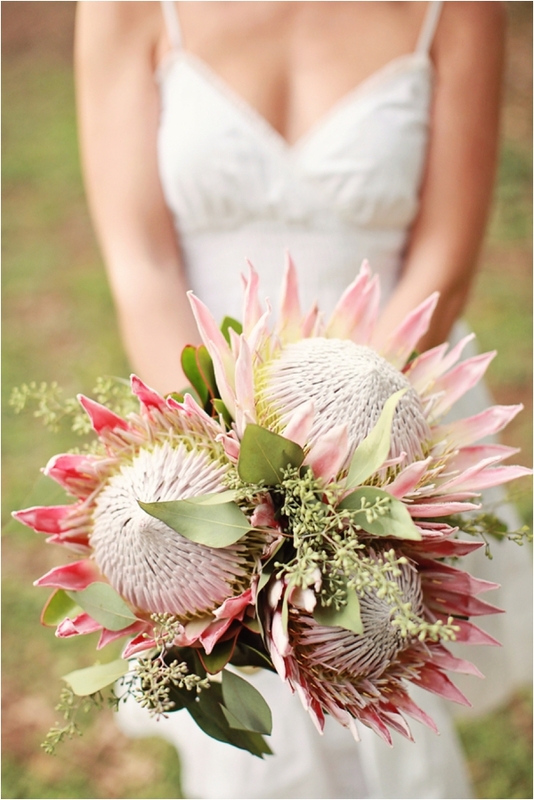 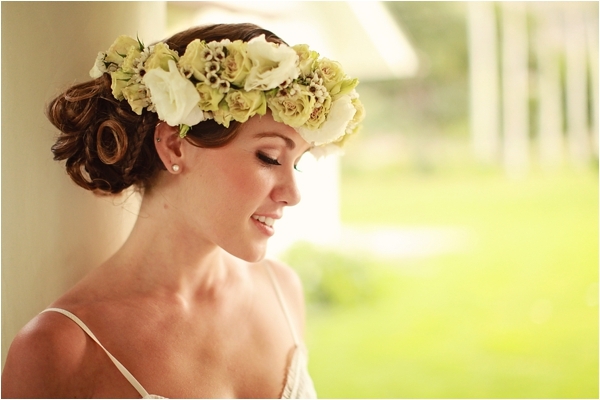 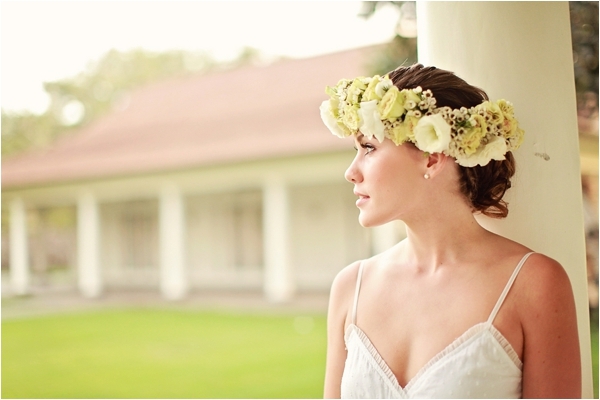 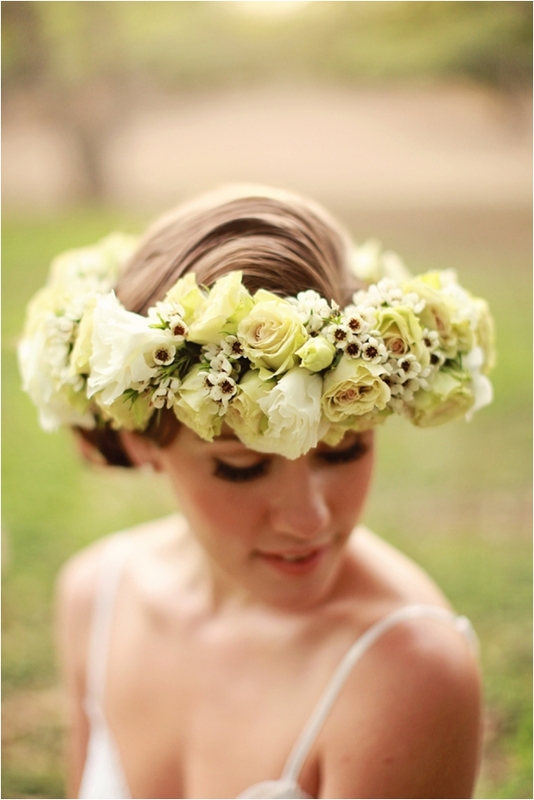 In Hawaii, weddings are traditionally relaxed and simple, with green and white flowers being a common theme. 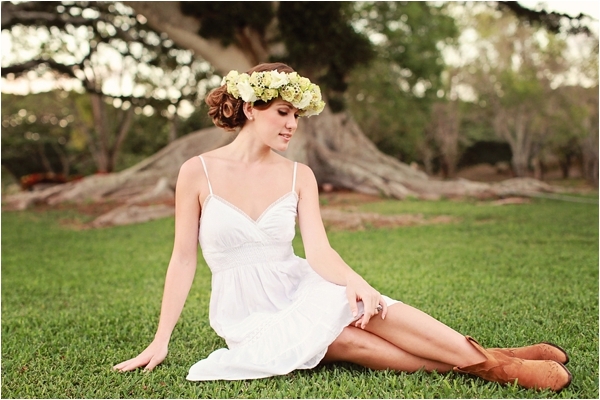 I'm from Texas, hence wanting a ranch look but I love the bohemian feel that is all over the place nowadays.